Baan Panalee. 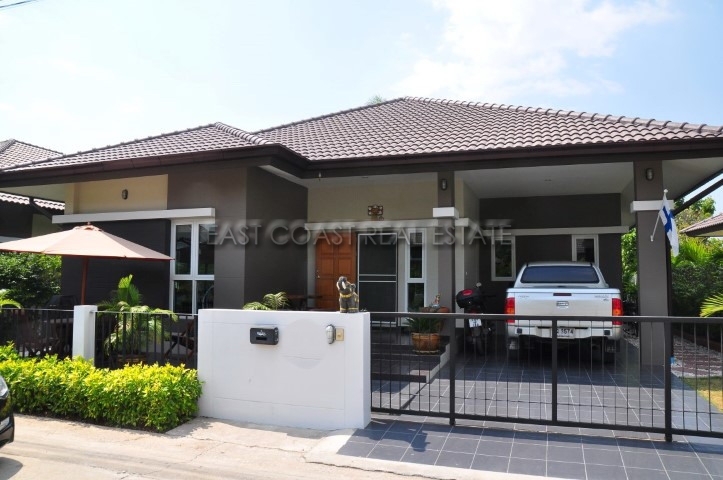 This new village is in a great location, on soi Huay Yai only minutes from the highway which runs from Jomtien through to Pattaya, and just 5 minutes to the beach. The village consists of just 40 single storey houses all with private gardens and off road parking, plus a large communal swimming pool and 24 hr security. Inside this lovely family home it has been finished and furnished to “show home” standard with porcelain tiling and air conditioning throughout all rooms, high quality European kitchen, nice bathrooms, large bedrooms, roof insulation, UPVC quality windows and doors, and landscaped gardens. There is also a utility area, and parking for 2 vehicles. Set upon 75 Wah (300sq.m) of land there is plenty of space all around the house for nice garden areas, and a patio to the rar.